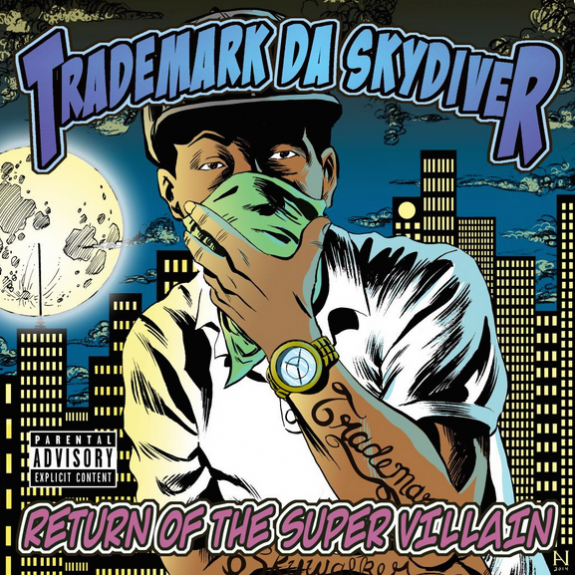 Today, Trademark Da Skydiver revealed the cover art and track list to his highly-anticipated forthcoming album Return of the Super Villain via HipHopDX. The album which hits stores worldwide on December 2nd features guest appearances from Smoke DZA, Young Roddy, Fiend, Blizz and more. Trademark is also currently on the Smokers Club Tour which is making its way through cities in Oregon, California, Nevada, Arizona, Texas, Louisiana, Alabama, North Carolina, Pennsylvania, and New York. Return of the Super Villain hits stores worldwide on December 2nd via The Barnes Corp / iHipHop Distribution. Click here to Purchase the album on iTunes now.